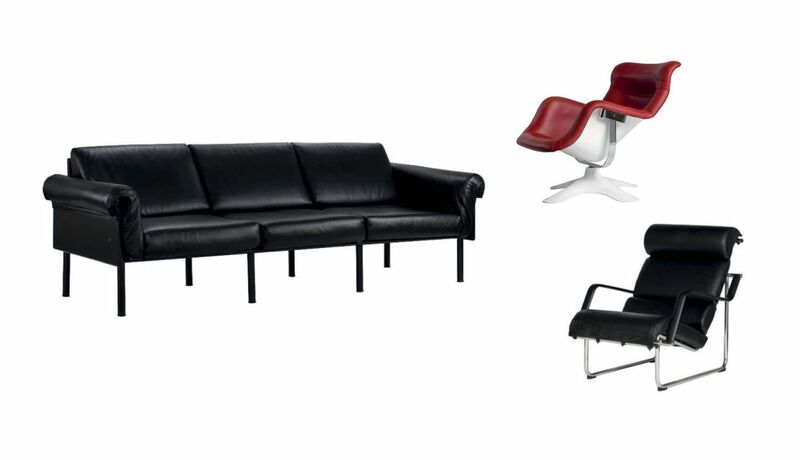 Ateljee seating series (1964), Karuselli lounge chair (1965) and Remmi chair are Yrjö Kukkapuro’s classics. Yrjö Kukkapuro’s career, which has spanned sixty years is exceptional: he has received multiple international awards and his pieces are included in the collections of leading design museums, such as MoMa of New York, Victoria and Albert Museum, London and Vitra Museum. He has a very unique vision and way of thinking. Many of his very modern creations, such as the Ateljee seating series (1964), Karuselli lounge chair (1965) and Remmi chair (1969) have become modern classics. Remmi, for instance, is a great chair for laptop working! Beauty, sustainability and usability are at the very core of his work. We’re proud to host these stunning pieces under our roof,” says Modeo’s Yrjö Kukkapuro Product specialist Nina Hultkrantz. Earlier this year, the Finnish company Modeo secured exclusive rights to the major part of Yrjö Kukkapuro’s furniture collection for the European markets. Kukkapuro visited Modeo in the early stages of the co-operation and made quite an impression on everyone. This is clearly a business affair of mutual respect. Decision makers are becoming bolder in utilising their office spaces. Companies are more invested in creating functional yet enjoyable offices, thus giving a boost to the work done there. “The way people work has changed and the industry with it. Multi-functional work environments are in demand. This requires movable walls, spaces for quiet work as well as co-working. Customers are also highly aware of quality. Cheap, lower quality furniture won’t cut it. They want sustainable, high quality furniture that stands the test of time. We want to bring simplicity into complex projects. The products may come from around the world, but our customers need only communicate with us. We make life simpler for our customers”, concludes Hultkrantz. Modeo is a Finnish nationwide business-to-business furniture supplier offering a broad selection of Scandinavian style design furniture at various price points. We have been on the market for ten years and operate throughout Finland. Our portfolio includes more than 50 international brands and covers office and design furniture, textiles, lighting and ergonomic products. Moreover, we create some of our own products and utilize the expertise of highly skilled craftsmen for producing custom-made solutions.